A place we know well… Clos Pepe is a family-owned vineyard and winery set in the heart of the Sta. Rita Hills AVA, Burgundian style Pinot Noir and Chablis-style Chardonnay are the focus of this vineyard. The soils are sandy and clay loam, rich in calcium and calcareous shale, with low nutrients that naturally restrict yields. Their meticulous farming practices produce tiny berries and clusters of rich, dense flavors and color. The resulting wines are intensely yet delicately flavored with well-balanced acidity. Other producers working with Clos Pepe include Clos Pepe Estate, Arcadian, Ken Brown, Siduri, Loring Wine Company, AP Vin, Hall Wines Roessler , Brewer-Clifton, Diatom, Ojai, Liquid Farm, Tyler, L'aventure, Au Bon Climat, Hitching Post, Testarossa, LaVie, Babcock, Vino V and Carr Wines. 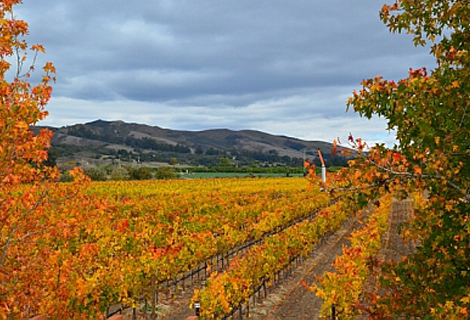 The Huber Estate was established in 1986, making it one of the oldest vineyards in Sta. Rita Hills. 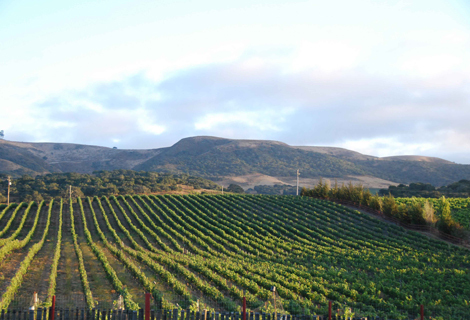 It is located 13 miles west of the Pacific ocean and directly across from Clos Pepe Vineyards. Coastal morning fog and afternoon breezes provide an ideal environment for Burgundian varietals such as Chardonnay and Pinot Noir. Since the first harvest, grapes from the vineyard have been purchased by select premier winemakers throughout the valley. Proprietors Norman and Traudl Huber are dedicated to growing grapes of flavor, quality and distinction. Currently, the estate vineyard is planted to 8 acres of Pinot Noir clone 115, 2 acres of Pinot Noir clone 667, 11 acres of Chardonnay and 2 acres of Dornfelder. The Garey Vineyard is located in the cool Santa Maria Valley, across the river from Bien Nacido Vineyard. The ranch has one of the most extensive assortments of Pinot Noir clones found anywhere on the Central Coast. It is located on a plateau, overlooking the western end of the Valley. 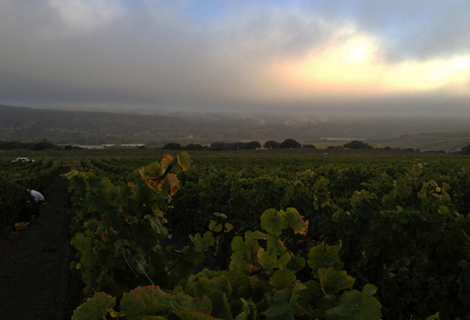 With its cool coastal morning fog and soft afternoon breezes, it is the ideal site for Pinot Noir . The vineyard is high-density plantings and is gaining a reputation for the finest Pinot Noir in the Santa Maria Valley. We look forward to the 2012 vintage, which is a blend of the 115 and 777 Pinot Noir Clones. Rancho La Viña sits on a gently sloping bench above the western edge of the Sta Rita Hills. Its proximity to the Pacific Ocean with its cooling maritime breezes make it one of the coldest sites for Pinot Noir in the region. The vines are influenced by low vigor soils and almost constant exposure to cool winds. Morning and evening fog blanket the vineyard regularly. These conditions produce small, dark, intense richly aromatic clusters. We are finding deep blueberry, blackberry, violet and earthy minerality in wines from this vineyard. We are truly lucky to have had the opportunity to work with this incredible vineyard in 2013. Sta. 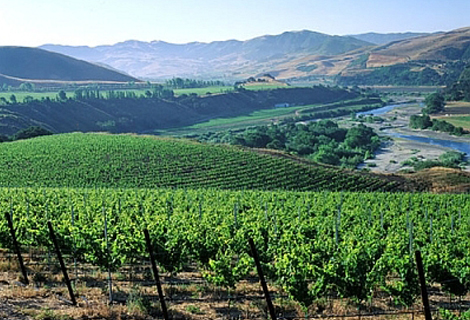 Rita Hills is a small appellation located in the western Sana Ynez Valley. It encompasses just 100 square miles in the unique ease-west coastal valleys. The cool climate, maritime breezes and coastal fog join with the incredible soils composed of dune sand, marine deposits, river wash, and rich calcareous matter. This organic elemental blend makes the Sta. Rita Hills the perfect climate for growing exceptional delicate and aromatic Pinot Noir and Chardonnay grapes. 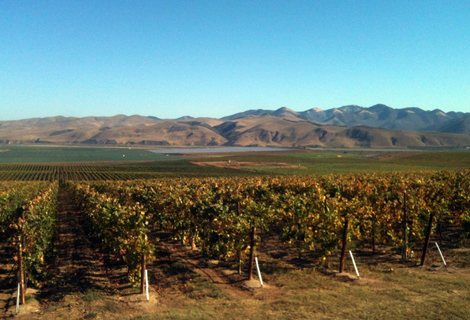 The Santa Maria Valley is flanked by east-west mountains and benefits from Pacific coastal fog and cool temperatures. The soils, with higher sand content than the Sta. Rita Hills, promote lush, opulent wines.